Renovations will be underway from November 2018 through June 2019. After touching down at Nashville International Airport (BNA), enjoy a stress-free commute to Radisson Hotel Nashville Airport aboard our hotel’s complimentary shuttle. Our scenic property, situated near I-40, provides personalized service and quick access to the sights and sounds of Music City. You can visit the Grand Ole Opry and Ryman Auditorium for live musical entertainment, both less than 23 minutes from the hotel, or immerse yourself in the rich history of the area at nearby Belle Meade Plantation. Boasting more than 5,500 square feet of flexible event space, our property is also a popular venue for elegant weddings, conferences and conventions. Come see our newly renovated guest rooms! 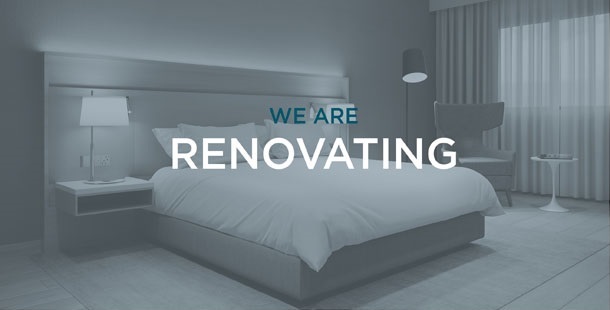 Renovations to the lobby, restaurant, lounge and meeting rooms will continue through June 2019. Alternate facilities are available for use during this time. When work brings you to Music City, upgrade your experience by booking one of our Business Class Rooms. Enjoy all standard amenities, plus extras like a complimentary breakfast each morning and a complimentary drink voucher each evening. 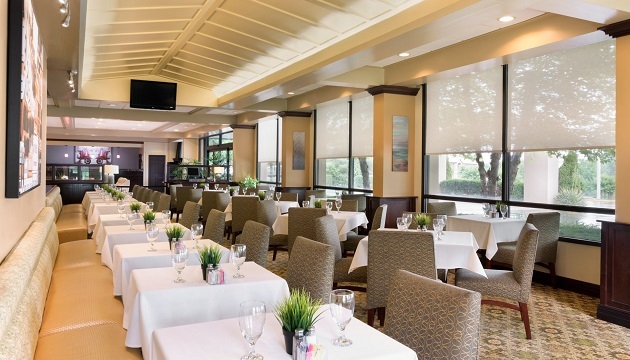 Fuel up for a visit to the nearby Nashville Shores Lakeside Resort with a meal at our on-site restaurants. The stylish 1112 Bar & Grille serves a mix of traditional and contemporary American dishes perfect for a filling lunch and a scrumptious dinner while 1112 Urban Grille features energizing breakfast selections. Start your morning with an omelet, and later satisfy your midday and evening cravings with delicious offerings like fish tacos, Nashville hot chicken, pulled pork sandwiches and more. Afterward, join colleagues for a refreshing beverage at the casual bar. Wrapped up in work? Choose an enticing entrée from our room service menu, and we will deliver your breakfast, lunch or dinner selection directly to your door so you can stay focused. Bistro to Go offers healthy salads, sandwiches and other deli options 24 hours a day. Grand Ole Opry – Less than eight miles north of the hotel, this iconic Nashville attraction has hosted some of the most legendary performances in country music. Take a tour of the hallowed halls, or reserve your seat for a truly unforgettable entertainment experience. The Parthenon – Nestled in Nashville’s Centennial Park and about 10 miles from the Radisson, The Parthenon houses a 42-foot statue of Athena as well as the city’s art museum. Nashville Zoo at Grassmere – Home to more than 2,760 animals, this family-friendly destination offers nature exhibits, interactive playgrounds and educational events, all a short 21-minute drive from the hotel. Our event venues at Radisson Hotel Nashville Airport can accommodate gatherings from informal business meetings to elegant wedding receptions. With more than 5,500 square feet of transformable event space, our facilities feature flexible seating arrangements, audiovisual equipment, on-site catering options and free Wi-Fi to set the stage for success. Conduct high-level negotiations in the privacy of our Executive Boardrooms, host an elegant celebration in one of our expansive ballrooms, or treat your wedding guests to a sophisticated catered meal on our 1,500-square-foot outdoor deck.